More than $11 million worth of critical aid is in the hands of relief workers in Florida and more than 150 dogs and cats are in a no-kill shelter in San Francisco thanks to FedEx, Direct Relief, Heart to Heart International, the Miami HEAT and the Golden State Warriors. 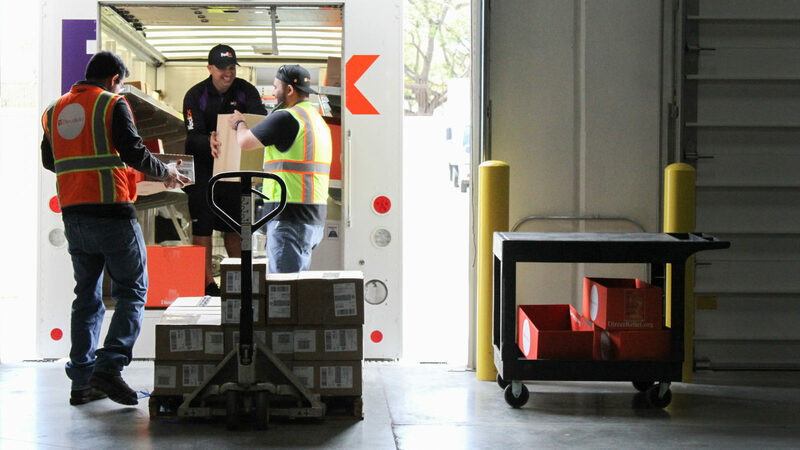 FedEx Corp. (NYSE: FDX) dedicated a special flight to make the emergency response possible. 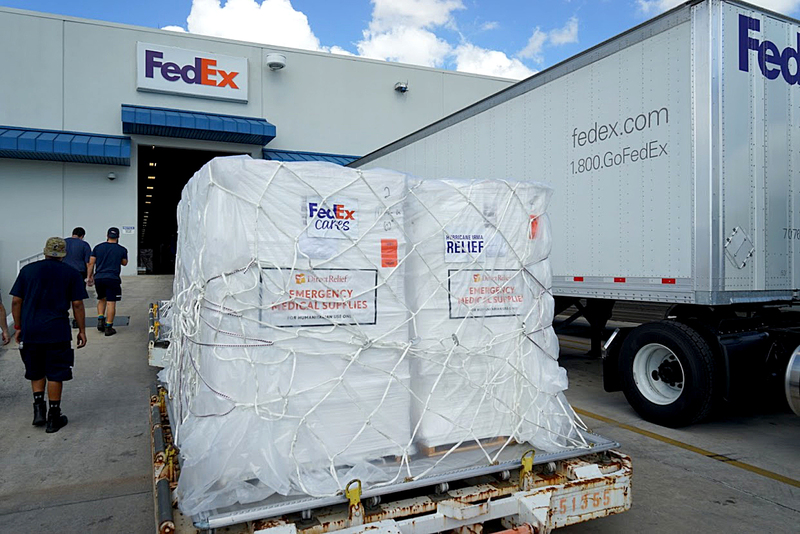 The FedEx Express MD-10 was loaded today in Memphis with medicines and medical supplies to assist Direct Relief’s humanitarian efforts for the people and communities affected by Hurricane Irma. 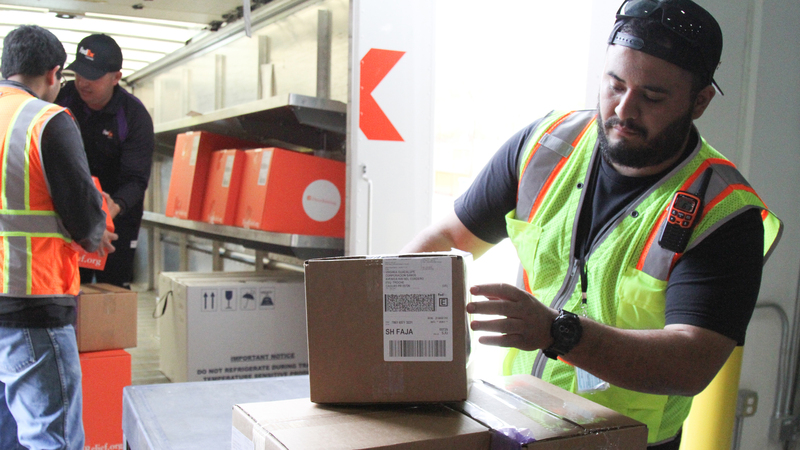 The resources will be delivered to community health centers and clinics throughout Florida, in close coordination with the Florida Association of Community Health Centers, as well as to hospitals in Anguilla, Haiti, the Dominican Republic, U.S. Virgin Islands, and British Virgin Islands. The cargo jet was also carrying more than 4,000 hygiene kits for Heart to Heart International as well as employee relief supplies and generators. The relief supplies were unloaded upon arrival in Miami, and more than 150 dogs and cats from Miami-area shelters were loaded on board the MD-10. The animals were then flown to Oakland, Calif., where they were delivered to no-kill shelters in the San Francisco area. Hurricane Irma also created a pet emergency, with shelters becoming quickly overcrowded due to displaced dogs and cats in hard-hit areas. Members of the Miami HEAT heard about the overcrowding crisis at local shelters and collaborated with the Golden State Warriors to come up with a plan. The NBA teams reached out to FedEx to assist. As part of their efforts to assist animals impacted by Hurricane Irma, the ASPCA is providing Miami-Dade Animal Services with sheltering assistance and helped facilitate the transport of hundreds of displaced homeless animals from Miami area shelters to the West Coast. The ASPCA is providing ground transportation for approximately a hundred animals upon their arrival at the Oakland International Airport to the Marin Humane Society and the Humane Society for Southwest Washington, where they will eventually be made available for adoption. In total, the ASPCA has helped transport more than 1,000 animals out of communities impacted by Hurricanes Harvey and Irma, and continues to provide search-and-rescue and sheltering assistance in Florida and Texas. This special relief flight is part of the company’s FedEx Cares initiative, through which FedEx will invest $200 million in more than 200 global communities by 2020 to create opportunities and deliver positive change around the world. For more information on the relief effort, please visit the FedEx blog here.